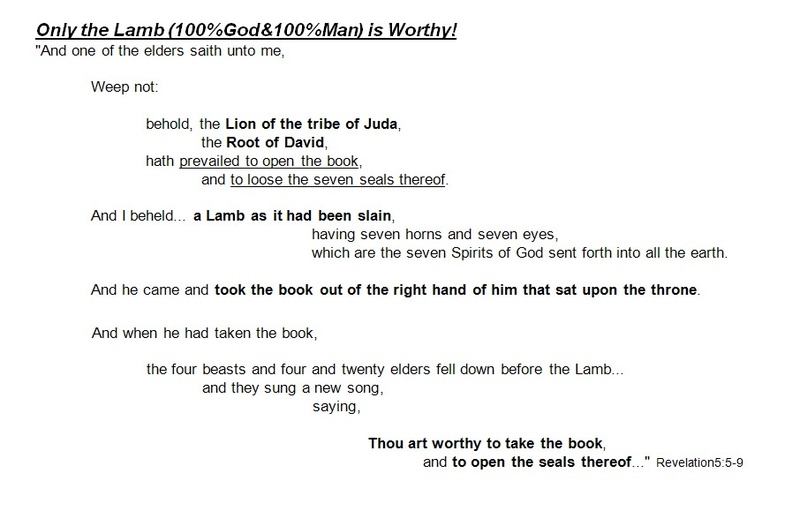 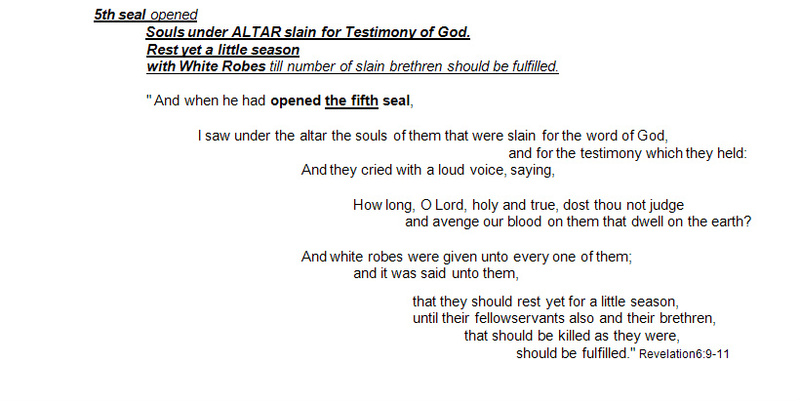 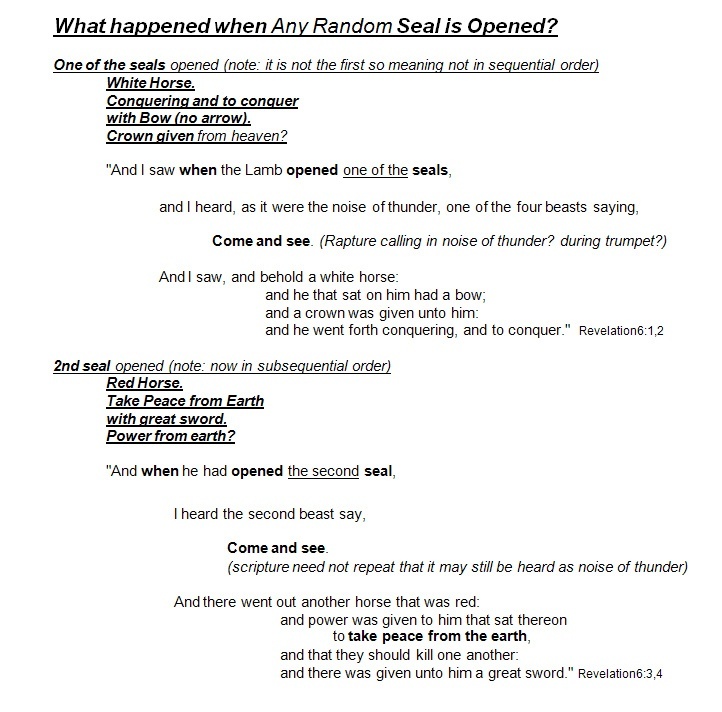 1 OF THE SEALs...not written as the 1st seal. 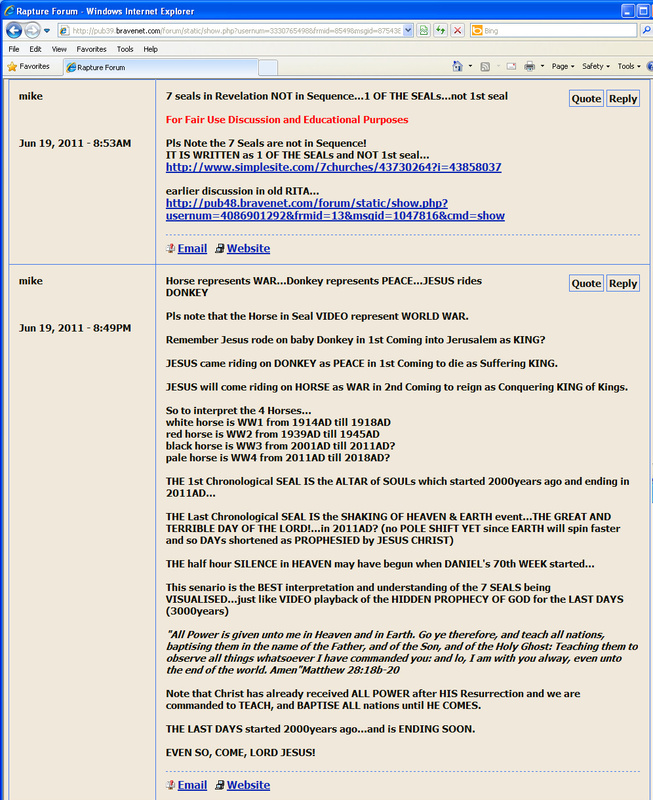 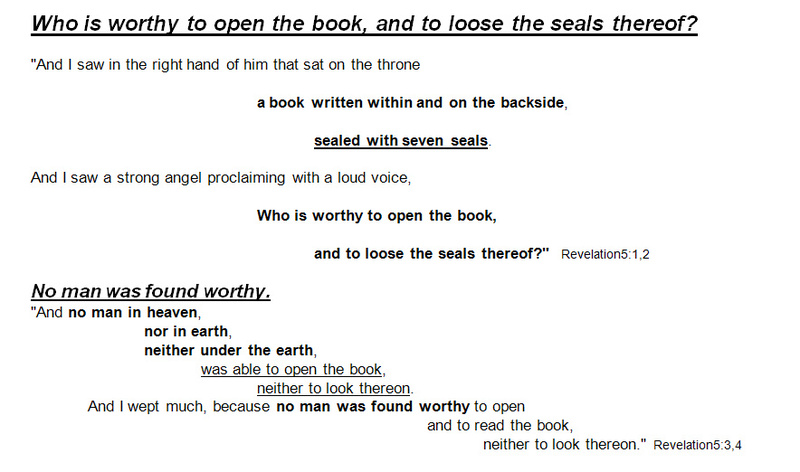 Opening of Seals... 1 of the Seals 2nd Seal note: Not 1st seal. 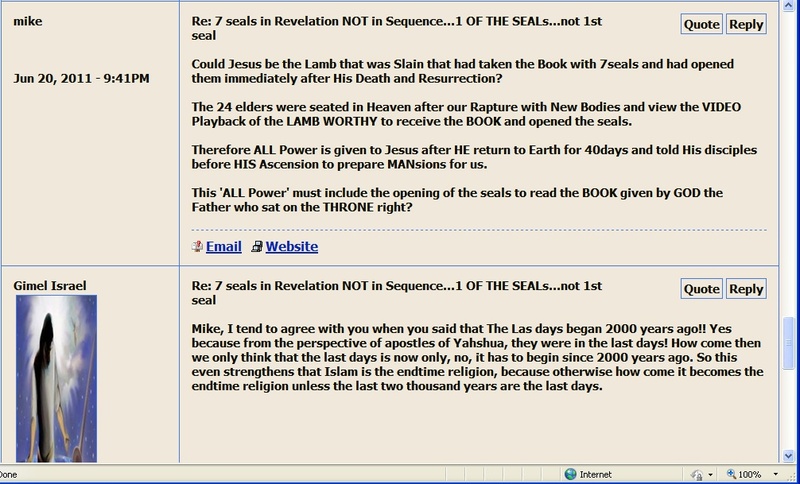 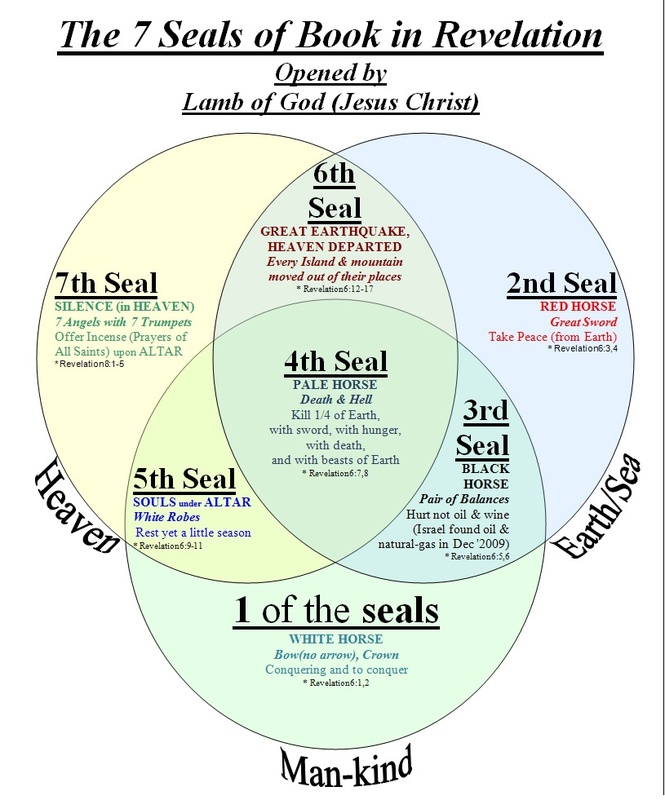 1 of the SEALs. 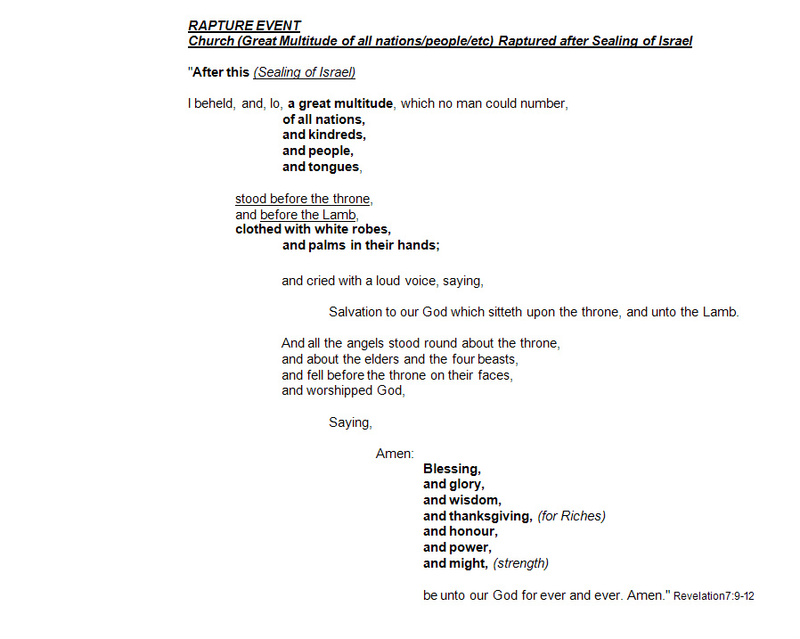 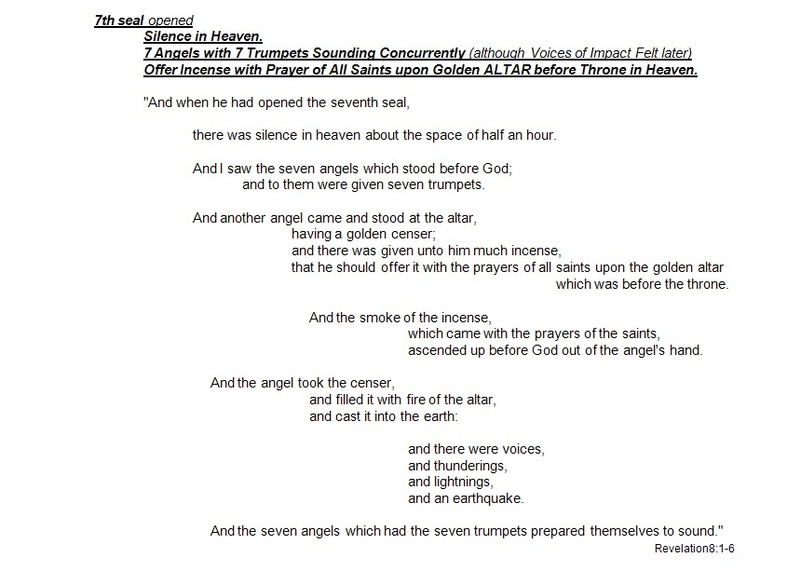 7trumpets same time because 7 Angels are sounding "And the ... angel sounded" 7 times "AND"...not "After". 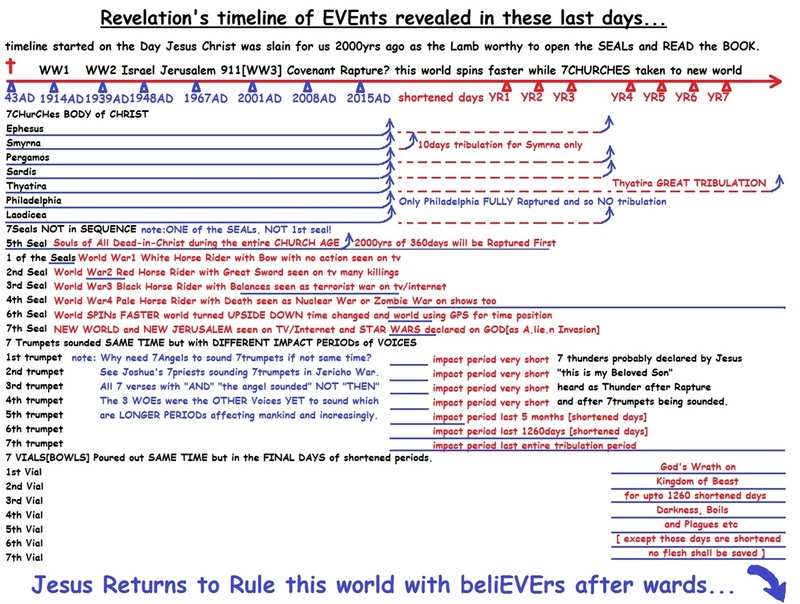 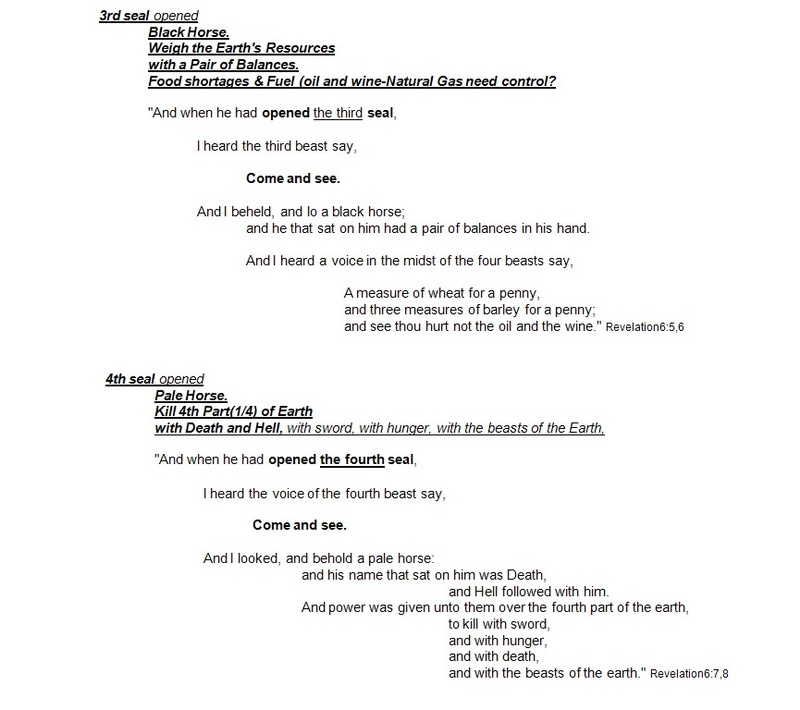 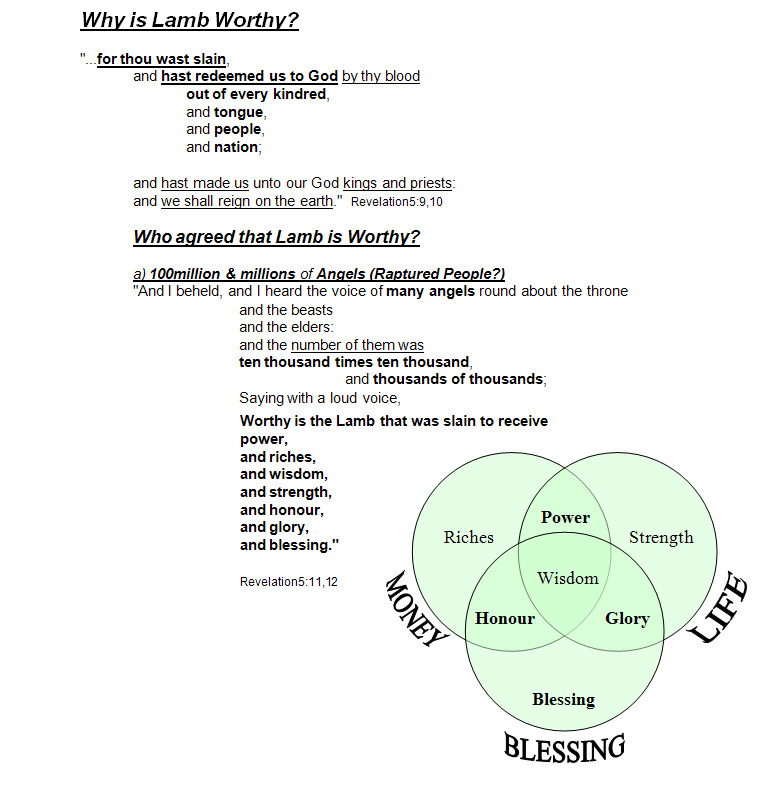 Although the last 3 "WOE"s was written as "hereafter"...the 3 impact periods gets worse and worse. 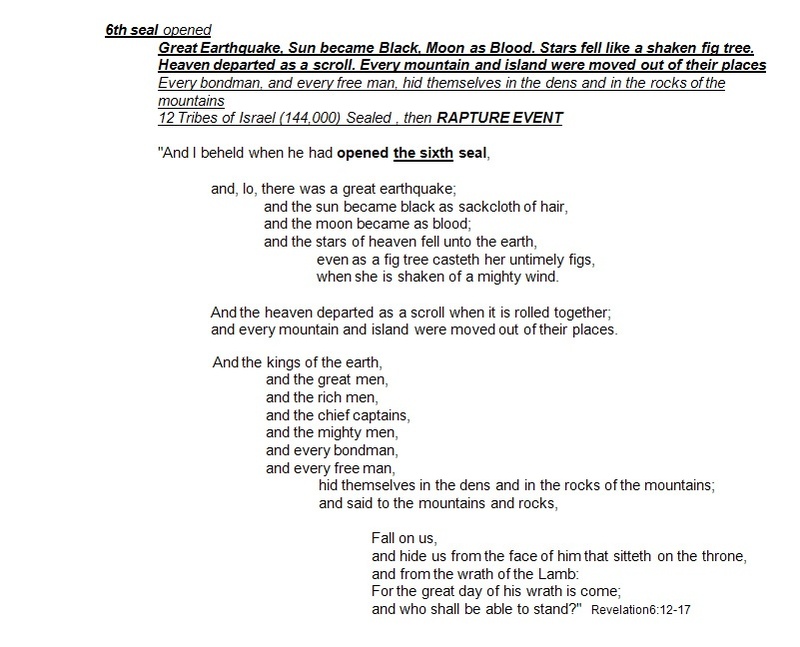 in heaven and in earth." 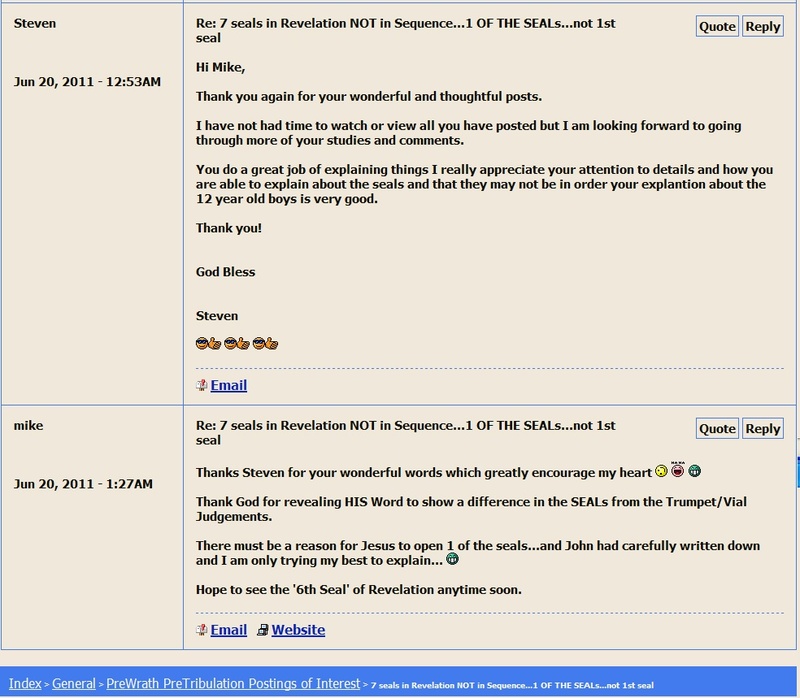 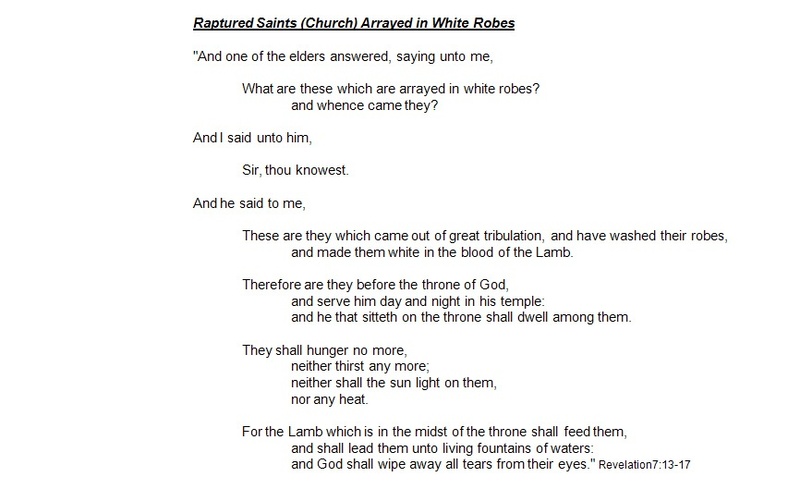 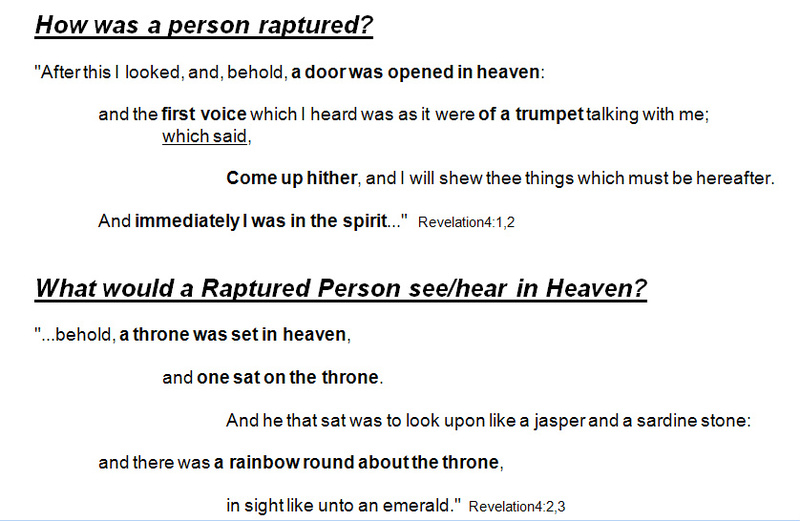 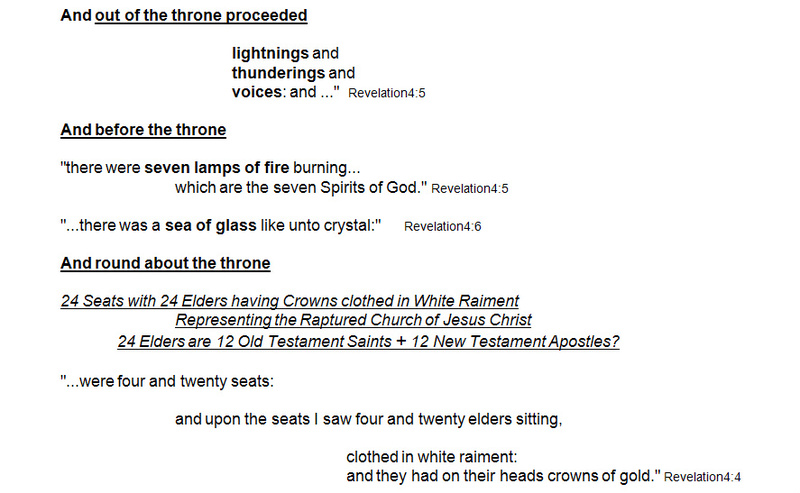 REVELATION has 2 DIFFERENT GROUPS of 4 Angels !!! 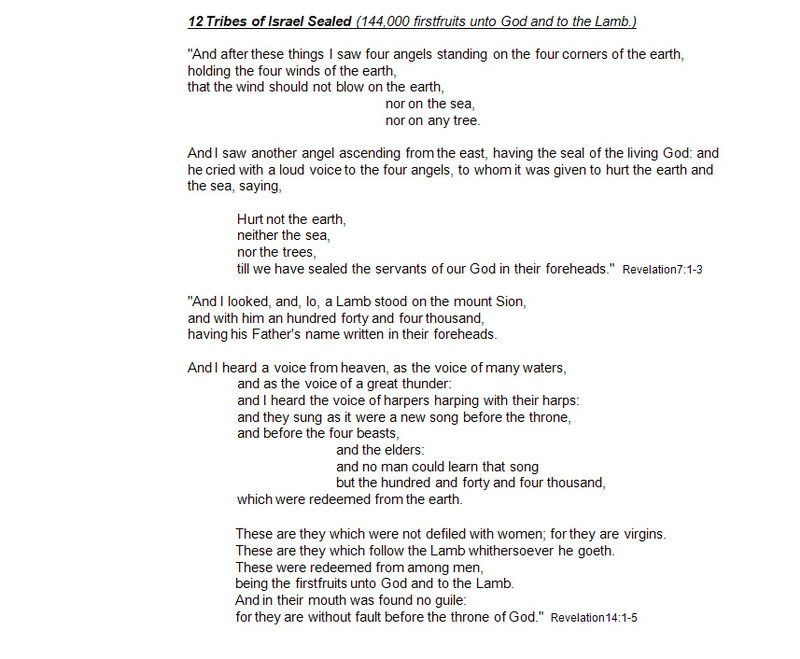 I believe the 1st Group of 4 was Heavenly Angels and the 2nd Group of 4 was Evil Angels[Spirits] bounded during the Noah’s Flood to be released during the Trumpet Judgement. 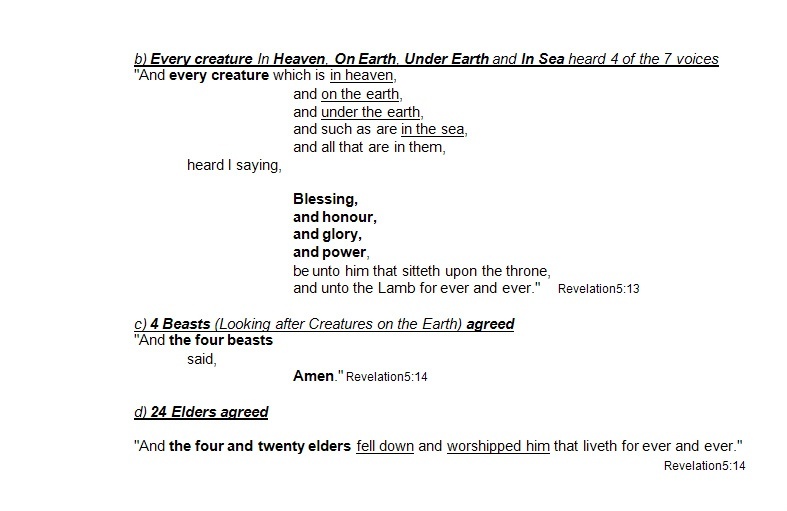 4 Beasts full of Eyes are 4 DIFFERENT GROUPS of Video Camera Recordings for All Creatures of the Air[fowls] and Land[human, cattle & wild] for Great White Throne Judgment !!! 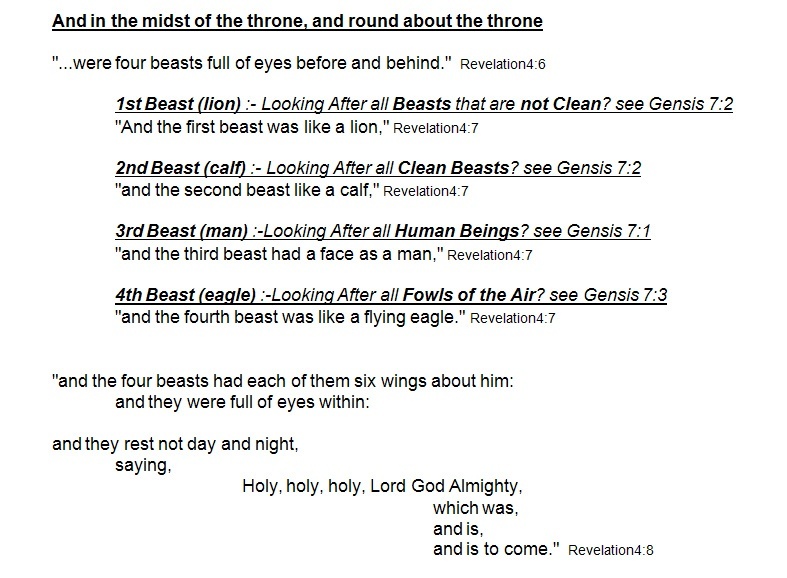 and in the midst of the throne, and round about the throne, were four beasts full of eyes[video cameras] before and behind. 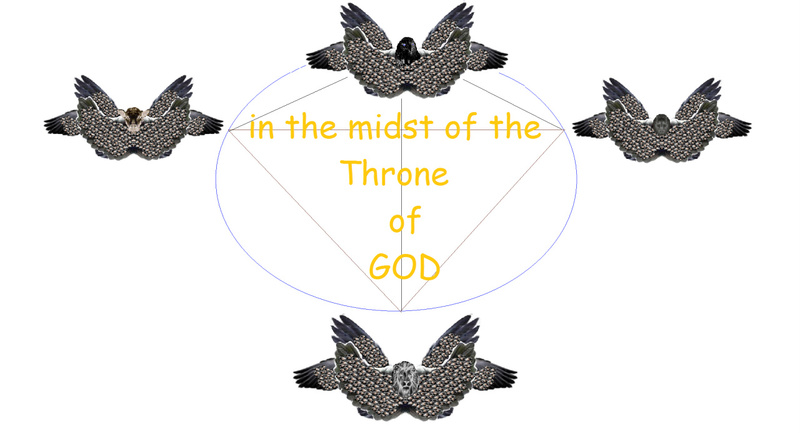 and the fourth beast was like a flying eagle[fowls of the air]." 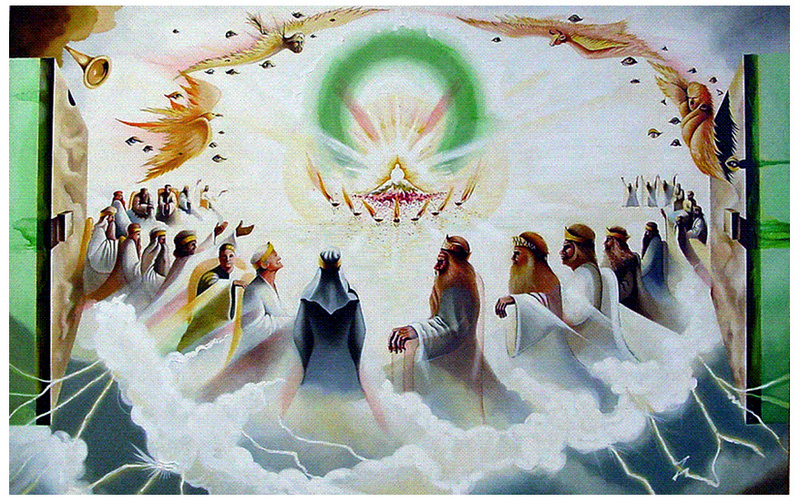 and that believing ye(you) might have life through His name." 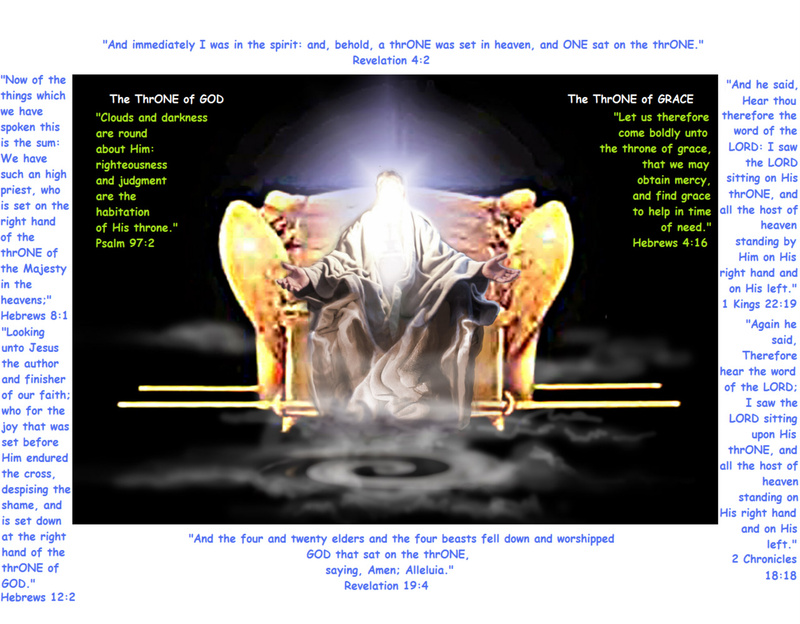 and thou(you) shalt be saved, and thy(your) house(family)."